OPINION – Riding a bike evokes the happy-go-lucky image of the wind blowing in one’s face, the joys of cruising down a hill and the satisfaction of making it up the next one. It’s an image of a fun and healthy activity. However, there is even more to cycling’s health benefits than might meet the eye. Ivins resident Tim Tabor enters the story here. Tabor has diabetes, including diabetic neuropathy, a type of nerve damage especially affecting the legs and feet. The diabetes also causes vision issues that prevent Tabor from driving. 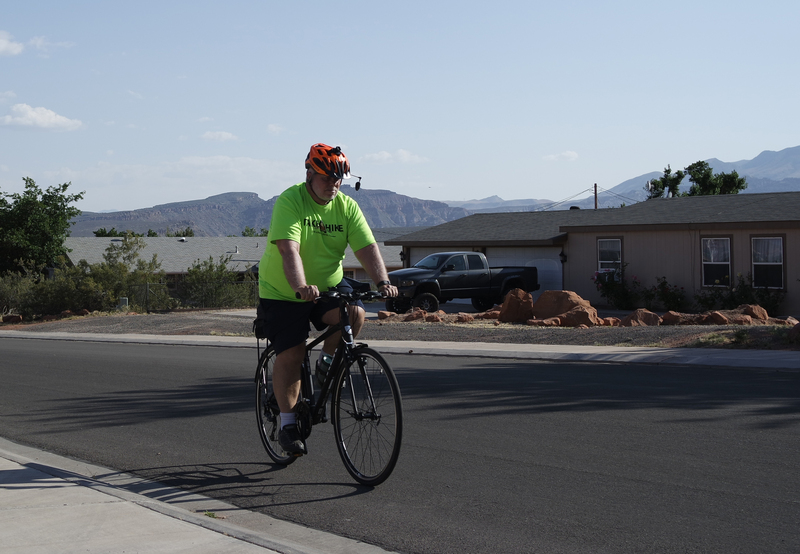 So he rides his bike 16 to 20 miles a day, commuting to and from his places of work as a probation officer and a photography instructor in Dixie State University’s Continuing Education program. Tabor has noticed numerous direct benefits from his cycling activity. For one thing, cycling tends to manage the pain of his neuropathy. Also, although he is overweight, much to his doctor’s delight, his heart and arteries are in the normal-plus range, and his breathing is at 110 percent of normal – all because of the exercise. But there’s more. Another medical condition that is positively influenced by cycling is Parkinson’s disease. Scientists have made an interesting discovery linking cycling to improved connection between brain regions affected by the disease and improved balance and coordination. It has also been shown that balance-oriented activities like cycling directly benefit the brain through improvement in concentration and memory and reduction of stress and anxiety. For more specifics, including positive effects for people with ADHD and Alzheimer’s disease, click here. 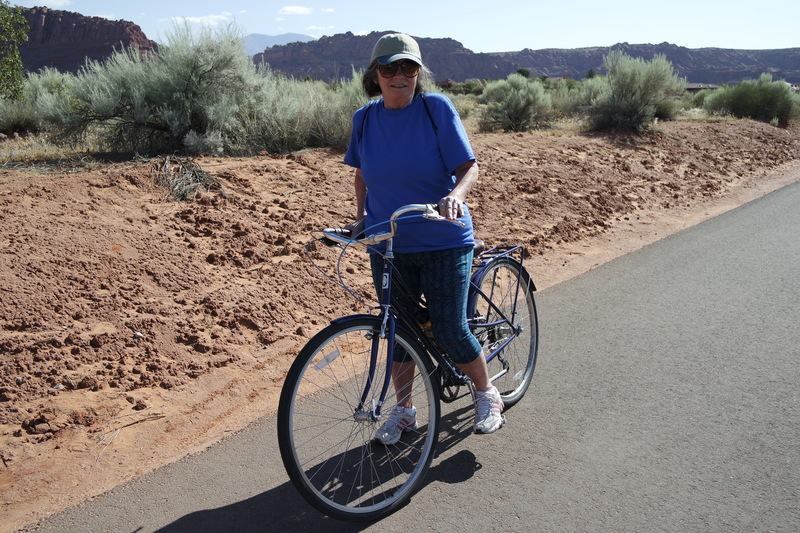 Something else Tabor noted that is very applicable to the well-represented older demographic in Washington County is the fact that since cycling is a non-impact activity, it’s an excellent alternative to walking or running, especially for older people with deteriorating joints. These are the kinds of benefits that are leading the Utah Department of Health to push for an increase in physical activity among Utahns. Brett McIff, physical activity coordinator for the Utah Department of Health, said physical exercise such as cycling contributes to a decreased risk of chronic disease, including heart disease, strokes, certain kinds of cancers and obesity-related conditions. Looking at obesity alone, in 2010, 23.2 percent of adults in Utah were obese, and 5.2 percent of the state’s total medical costs could be attributed to obesity-related conditions. Obesity often is a cause of other chronic health issues, including those already mentioned as well as diabetes, hypertension, arthritis and asthma. In terms of the economic side of the picture, McIff said, the costs of physical inactivity are quite significant. “In 2010, physical inactivity in Utah cost about $2,729 per person across medical costs, workers compensation and lost productivity,” Mciff said. 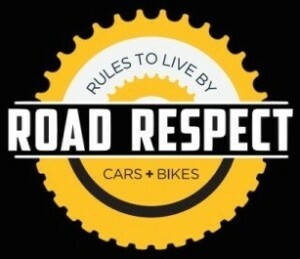 With a focus on encouraging communities to pursue active transportation through the earning of Road Respect designation, the Utah Department of Health is prioritizing physical exercise in an effort to increase prevention of and reduce the occurrence and burden of various health problems. One area the Utah Department of Health has prioritized over the next several years is increasing physical activity as a means to address the occurrence of cancer in Utah. The department is offering grants through its “Cancer Control Program” to support active transportation planning in Utah cities. 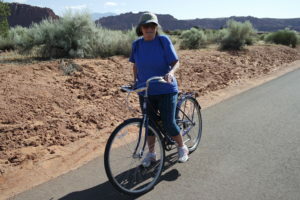 As Tabor clicks into his pedals for another ride into St. George, he provides a moving example of taking one’s health by the handlebars, so to speak. There definitely is some steering we each can do to make a difference in our quality of well-being. St. George News Road Respect column is developed with the Southern Utah Bicycle Alliance, a nonprofit advocacy organization devoted to making cycling safe and convenient for everyone who rides a bike. Opinions stated are those of the columnist and may not be representative of St. George News.